This new 4 bedroom brick home on 6090 m2 of flat land is content packed and oozes style, with the comfort of 2 lounges, ensuite, separate laundry and internal access double garage. Complimenting the home is a 11 x 7.2 m freestanding shed which incorporates a tastefully decorated generous sized guest room. 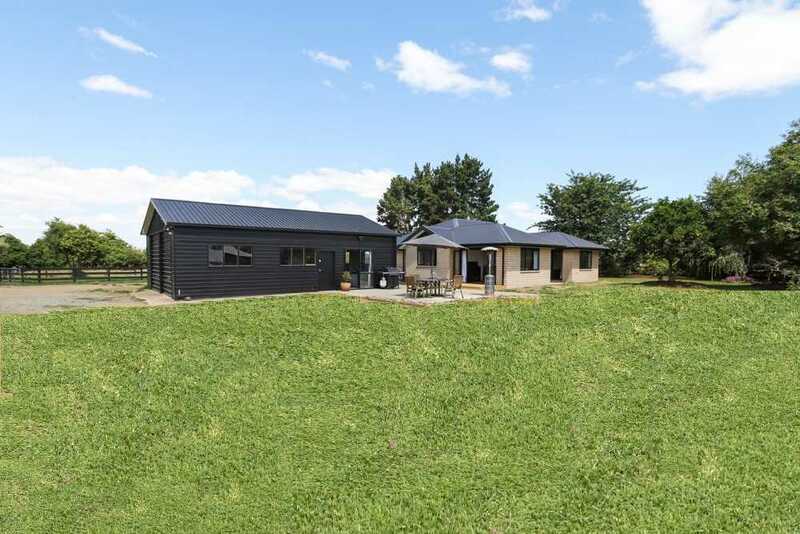 Two paddocks, 2 garden sheds and an endless water supply makes this property ideal for lifestyle living. The cleaver design of this home ensures all day sun is maximised. Ringer Road is a quiet location, only 11 km from the suburb of Hillcrest, therefore only minutes away from the city fringe. Zoned for the sought after schools of Berkley Normal, Hillcrest High, Cambridge High and Tauwhare Primary. What more could you need for lifestyle living. Call me today to view.